Explore data numerically by generating summary statistics, including measures of central tendency, dispersion, shape, and correlation. 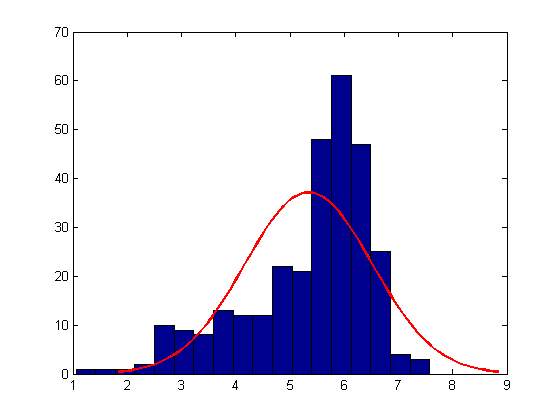 Statistics and Machine Learning Toolbox™ allows you to compute summary statistics for sample data that contains missing (NaN) values. 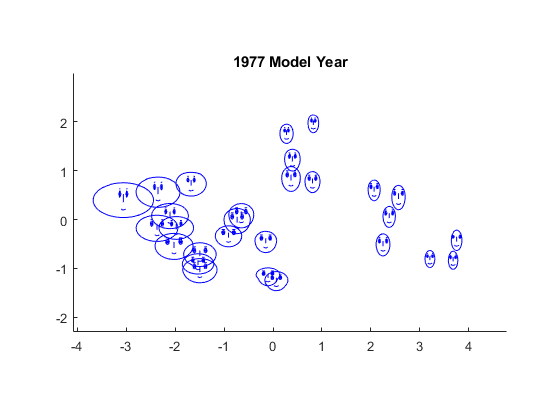 Visualize your data using univariate, bivariate, and multivariate plots. Available options include box plots, histograms, and probability plots. 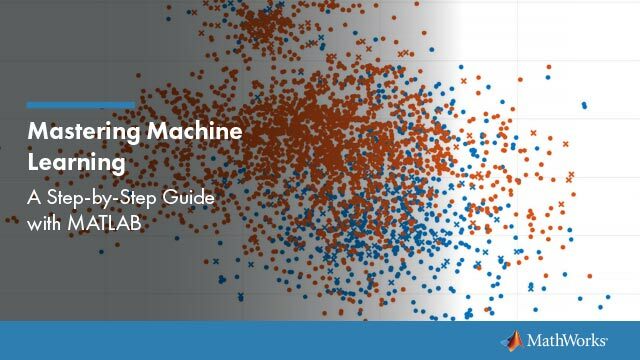 Find natural groupings in your data using cluster analysis techniques such as hierarchical clustering and k-Means clustering. Visualize multivariate data using various statistical plots. Many statistical analyses involve only two variables: a predictor variable and a response variable. Such data are easy to visualize using 2D scatter plots, bivariate histograms, boxplots, etc. It's also possible to visualize trivariate data with 3D scatter plots, or 2D scatter plots with a third variable encoded with, for example color. However, many datasets involve a larger number of variables, making direct visualization more difficult. This example explores some of the ways to visualize high-dimensional data in MATLAB®, using Statistics and Machine Learning Toolbox™.